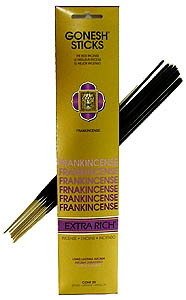 The classic, unmistakable fragrance of Frankincense. This scent is possibly the most ancient form of incense, with a rich and resinous aroma. Package contains 20 sticks of high quality charcoal incense.